Airlines damage or lose 7.34 out 1000 pieces of luggage. Sounds like a good reason to secure yourself against these accidents with luggage tags made via MakeBadge online badge maker. To prepare for summer traveling season 2015, get travel tags for your luggage to be sure that you receive your things at the resort airport. To create a bag tag, you just have to select a tag template and type info about bags destination and their owner. You can print any number of return address labels on your own printer and it will be 100% free for you! Doesn’t it sound an attractive offer? It’s really easy to start creating fabulous personalized bag tags. Go to MakeBadge and start baking luggage tags immediately! After you land on the main page, a badge creator will open. • To select a luggage tag type, click the appropriate icon in the Badge type section: Rectangular or Rounded. • To specify the best luggage tag size, click the Badge Size link and select the most suitable resolution in the drop-down menu. We have picked out such popular badges dimensions as: 85 x 55 mm (3.35 x 2.16 in); 88.9 x 50.8 mm (3.5 x2 in). 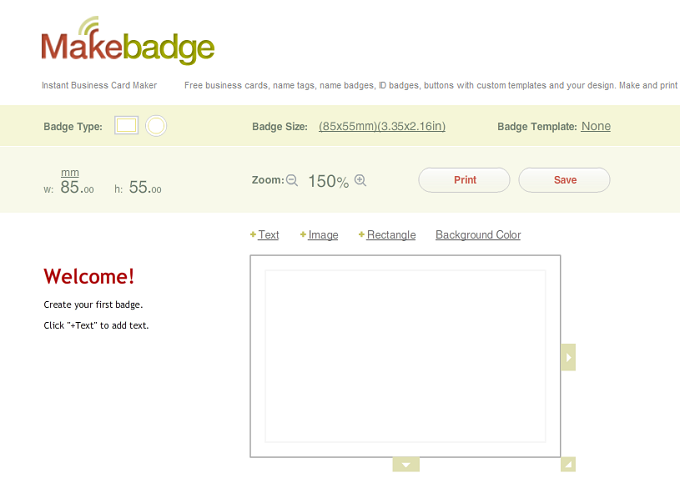 • To set up a luggage tag template, click the Badge template link and select the template you like. If you plan to design your bag tags from the scratch leave the template blank (None link). To customize a design of your baggage tag, use the Design options above the template. • To switch to the full-color mode, click the Background Color option if you want to print a colorful luggage badge. Or keep a more modest black and white version. • To upload an image, click the +Image option if you are going to make a bag tag more vivid. Keep your image dimensions small, so MakeBadge badge maker can process it faster. 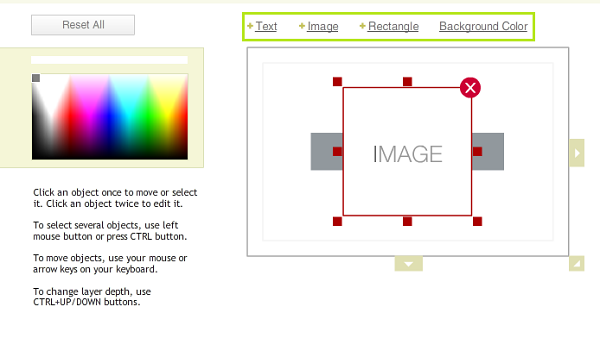 By the way, due to the +Image button, you can upload a logo instead of a picture. It might be useful if you ship corporate luggage on a business trip. • To add a text with your name and return address, click the +Text option. MakeBadge enables you to change the font color, size and style. • To add a blank rectangular area (if you wish to write the name and address manually), select the +Rectangular option and specify its color in the side color palette. When you are done, click the Print button to get any quantity of luggage name tags, or click the Save button to download .png image files with your bag tags on to your computer. Try to print several versions of luggage tags. Compare templates quality printed on an inkjet printer or laser printer. Our experiments show that you can print excellent bag tags even if they are produced at home or in office. Shakespeare was one of the first to cite the word “luggage” in his masterpiece Henry IV. So, we might suggest that people have been using these paper pieces to identify their bags for a long time already. Don’t forget to laminate your newly printed bag tags with a return address in order they could survive during the flight. Have a good vacation! Get luggage tags with MakeBadge now!